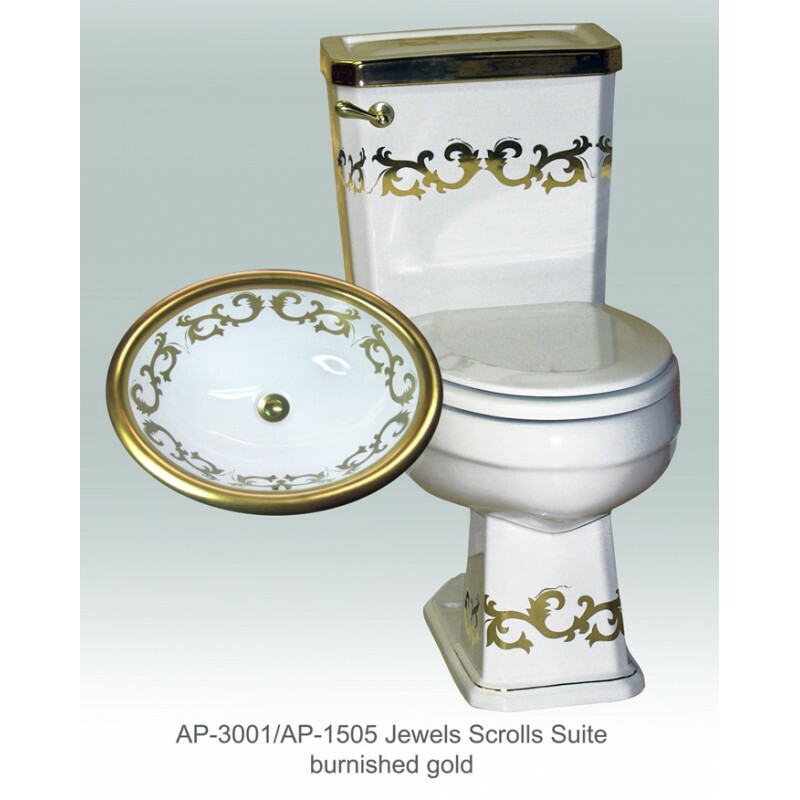 AP-3001/AP-1505 Jewel Scrolls Suite. 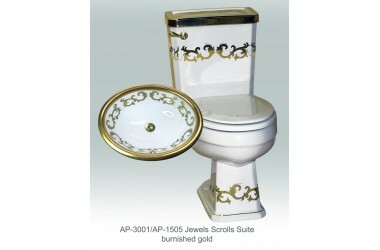 White Arena I round front toilet and AP-1505 White Donna drop in sink with Jewels Scrolls design in burnished gold. Arena I is 16" comfort hight 30 3/4" x 27 1/2". Toilets are code approved, 12" rough in, low volume, 1.6 gallons per flush. AP-1505 Donna inside dimensions 17 1/4" x 13 1/2" x 6 3/4" deep. Outside dimensions 20" x 16". Center Drain with overflow.